Shingled Roofing | Cedar Shake Roofing | Slate Tile RoofingFor more than a decade, Naperville Exteriors, Inc. has been Chicagoland’s chosen roofing contractor. Our certified roofing contractors are always reliable, and they are constantly looking for ways to exceed their customers’ expectations on each and every job. Further, we know that high-quality roofing is essential for both the appearance of your roof as it is for its function. The roofing experts in our offices strive to gratify all of our roofing customers with roof replacements and roof installations throughout the Greater Chicago Metropolitan Area. Naperville Exteriors, Inc.’s trusted experts are completely dedicated to dealing with any kind of roof repair, roof replacement and roof installation for our clients. Regardless of your roofing predicament, we have the answer! We are well aware how critical it is for homeowners and business owners to hire the right roofing contractors. 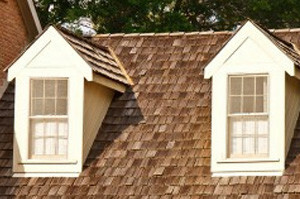 We are recognized for having the most dependable and affordable roofing products. Our shingles come in a variety of colors, thicknesses and dimensions to coordinate with the exterior of your home or business. Also, we ensure that our roofing products will improve the appearance of your home, as well as increase your home’s value. Naperville Exteriors, Inc. has constructed its business on a foundation of honesty, integrity and fair-mindedness. You will be able to see that these characteristics are reflected in everything we do. That’s why Warrenville homeowners and business owners come to see us first for roof repairs and roof replacement. For more than a decade, Naperville Exteriors, Inc. has been Chicagoland’s chosen roofing contractor. Our certified roofing contractors are always reliable, and they are constantly looking for ways to exceed their customers’ expectations on each and every job. Further, we know that high-quality roofing is essential for both the appearance of your roof as it is for its function. The roofing experts in our offices strive to gratify all of our roofing customers with roof replacements and roof installations throughout the Greater Chicago Metropolitan Area. Naperville Exteriors, Inc.’s trusted experts are completely dedicated to dealing with any kind of roof repair, roof replacement and roof installation for our clients. Regardless of your roofing predicament, we have the answer! We are well aware how critical it is for homeowners and business owners to hire the right roofing contractors. We are recognized for having the most dependable and affordable roofing products. Our shingles come in a variety of colors, thicknesses and dimensions to coordinate with the exterior of your home or business. Also, we ensure that our roofing products will improve the appearance of your home, as well as increase your home’s value. Naperville Exteriors, Inc. has constructed its business on a foundation of honesty, integrity and fair-mindedness. You will be able to see that these characteristics are reflected in everything we do. That’s why Warrenville homeowners and business owners come to see us first for roof repairs and roof replacement. Naperville Exteriors, Inc. offers roofing products that not only contribute to the beauty and character of our customers’ homes, but our products also protect their homes from harmful elements. Moreover, our company provides lifetime warranties and 100% transferrable warranties. Best yet, we stand firmly behind all of our warranties. Customers realize that we are one of the most solidly established roofing companies in the region. In contrast to our competitors, Naperville Exteriors, Inc. never takes any shortcuts when it comes to excellence. We have over 20 years of collective background and experience in the roofing industry. In addition, our roofing crew is the same roofing crew we have been working with for more than a decades! You can count on us to deliver the kind of consistency in workmanship and the highest quality of work possible. Naperville Exteriors, Inc. is also fully insured, Better Business Bureau certified, and GAF (General Aniline and Film) certified for your benefit. For your complimentary estimate call us, today, at: (630) 254-4831.